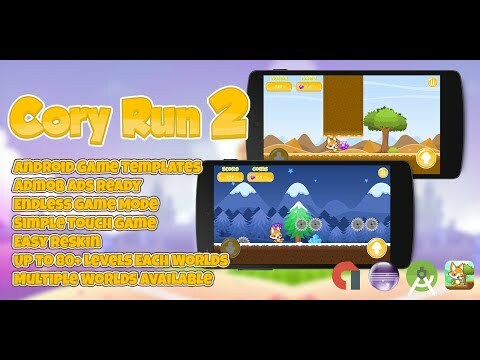 Cory Run 2 Is addictive Game , reach higher score on Cory Run 2. This game made by buildbox software have over 80+ Random generate level with 3 Different Worlds make it more challanger . you can add admob banner and easy to get more revenue from this game . this game also have share button , mute button , shop menu , that you can customize easily .. made by Buildbox Software . and be Warned : this game insanely Addictive!